Learn how to determine if Safety Mode is enabled or disabled on your My Verizon account. 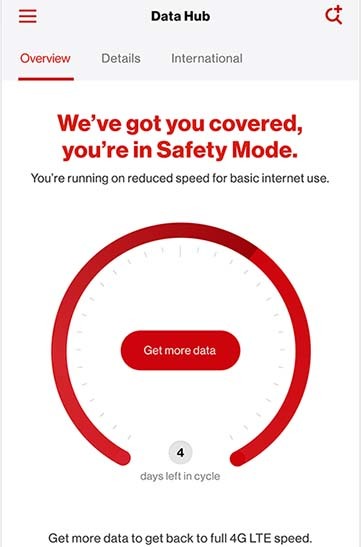 You must have all your lines on the new Verizon Plan and the most current version of the My Verizon app to utilize Safety Mode. From the Overview tab, 'We've got you covered...Safety Mode.' appears at the top of the page when Safety Mode is activated.